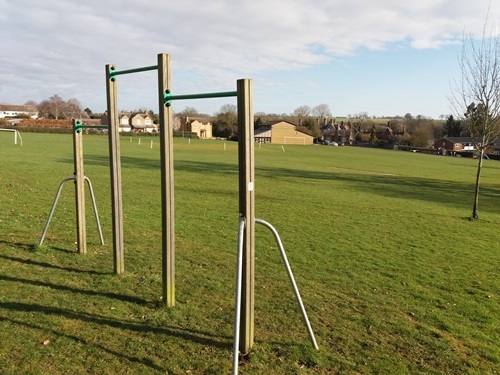 Most of the sports activities in the village are centred on the Sports Field (often referred to as the Meadow) which is located just off the High Street, opposite the Bull public house, and can be accessed by car via School Lane. 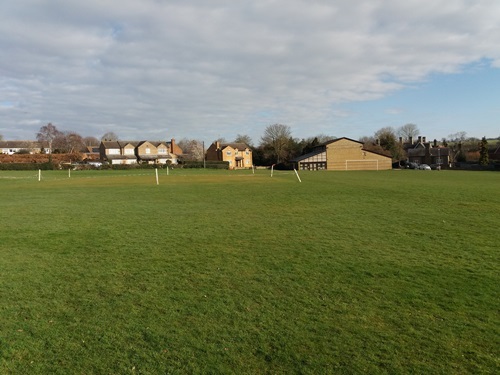 In addition to an adult football pitch and a cricket pitch, the Sports Field is home to two separate floodlit tennis courts, A and B (comprising two and one full-size courts respectively), a trim-track, the Nigel Poulton Community Hall and a small car-park. The community hall is very-well equipped to accommodate a range of indoor sports and has a storage facility for sports-related equipment. Additionally, the community hall has two modern changing-rooms with shower facilities, and a Pavilion and kitchen that prove to be a useful asset during cricket matches, etc. In addition to the mains-powered floodlights for the tennis courts, portable battery-powered flood-lighting equipment has been purchased by the Parish Council to maximise the use of the Sports Field all year around, e.g., for evening football-training sessions in the winter. A set of byelaws is applicable to the Sports Field and can be viewed on this website. The Sports Field is also home to a children’s play area comprising a varied collection of equipment, all of which is mounted on a rubber-based safety surface. The facilities offered at the Sports Field are very popular with players and young families alike and provide a very pleasant place to spend time, especially during the summer months. CCTV has been installed to monitor the children’s play area, parts of the Sports Field and the exterior of the community hall. An open-air fully-fenced facility is sited adjacent to the Great Innings play area and can be used for Basketball games.